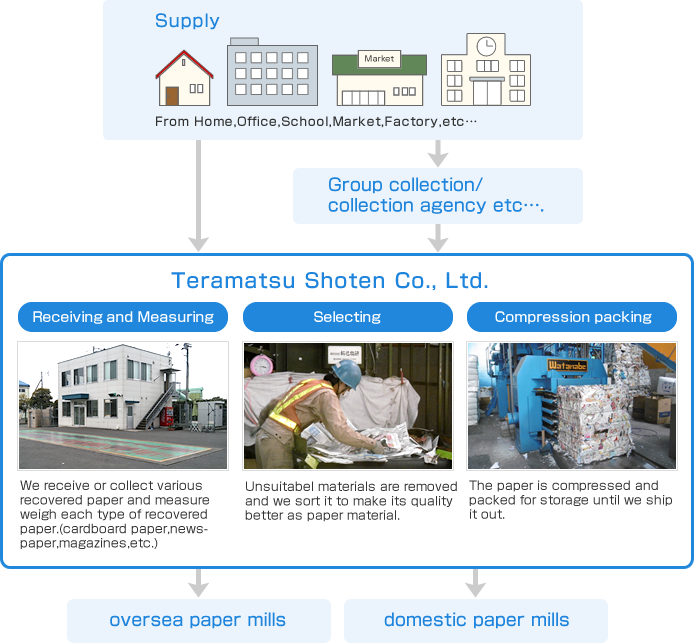 We treate recovered paper about 20,000T per month and sell directly to domestic or overseas paper mills. In Hakataport logistic center, We vanning various recovered paper about 500T per day. We developed original sales management system and container management system. By these system,We becomes possible traceability. We inspect moisuture and radiation by use of moisture meters and radiation detector. Recovered paper turn into new paper products. 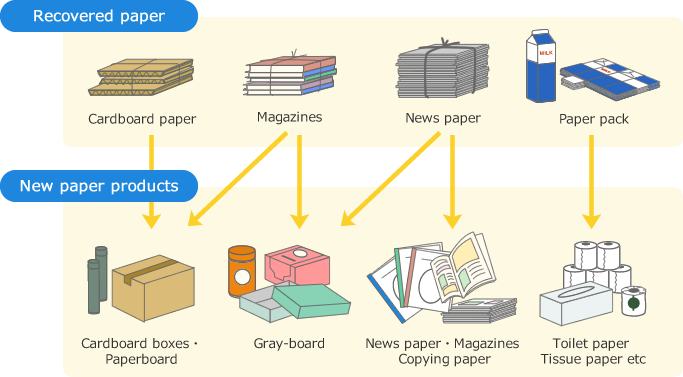 The paper manufacturer turns used paper into new paper products.